8 /2 100% CP Cotton Yarn Custom dyed for The Knit Tree by Spectrum Dyed Yarns, Inc. 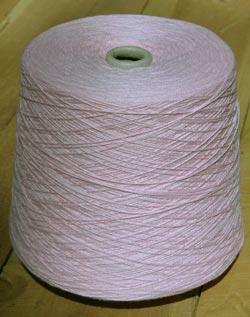 This is the yarn that is used in The Knit Trees ultra soft hand loomed baby knits. When a company has special colors dyed, a larger quantity of yarn must be ordered. Therefore, we are offering a percentage of this specially dyed cotton for sale to the consumer. This yarn is great for jacquard and tuck fabrics on double bed knitting machines, yielding a stitch guage of about 5 sts / inch 13 rows / inch for tuck stitches and 7 to 8 stitches per inch for jacquard. Knitting with 2 strands on about stitch size 6 yields a stitch guage of 7 stitches per inch and 10 rows per inch on single bed machines. We had white, blue, and pink specially dyed for our Mountain High line of cotton baby clothes, Native American baby clothes, and Camouflage Cotton clothes. Check out our web site babies corner to see the many products this yarn is used in. This yarn is great for hand knitting as well. See our article "Why Cotton Yarn for Babies". This is machine wash and dry yarn. A great bargin at below wholesale price!